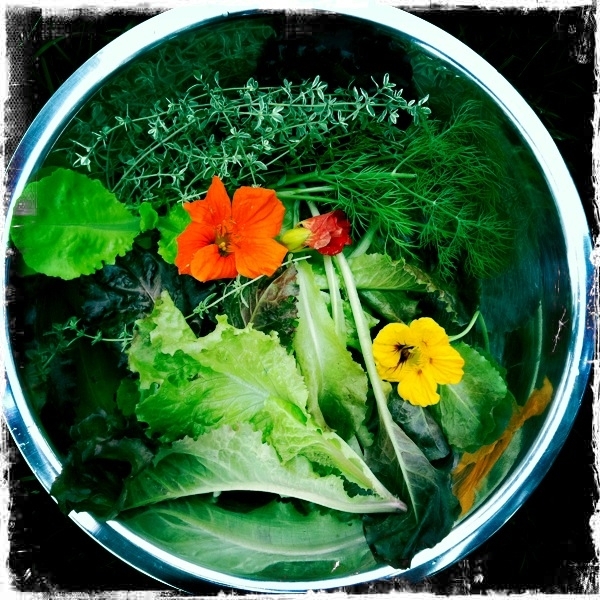 I have big news from our little urban “farm.” Yesterday was our first official harvest. I’ve been using a bit of thyme here and some chives there, but yesterday was different. I filled a bowl. 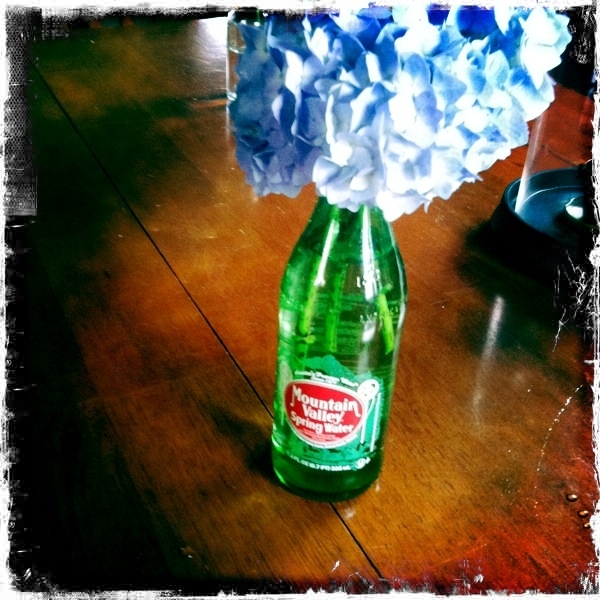 I picked my first hydrangea bouquet! My coffee grounds paid off. The soil stayed acidic enough to keep the hydrangea blue instead of pink. 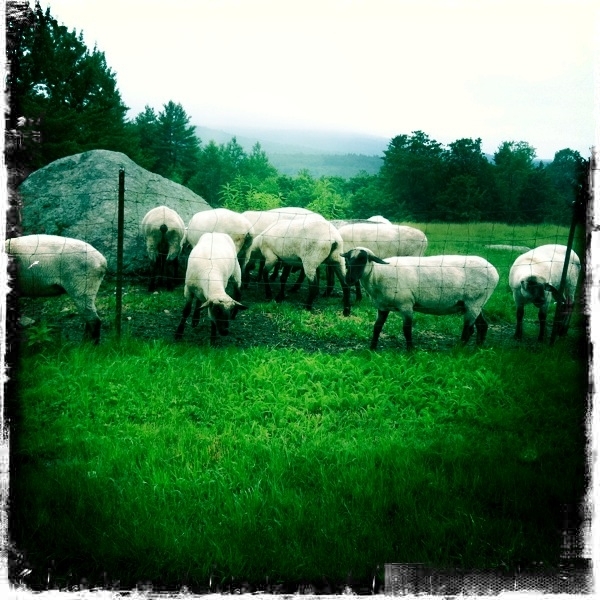 I also got to see the cutest sheep on the side of the road between Stoddard and Peterborough, NH. In my next life, I want to be a sheep and I want to live here. 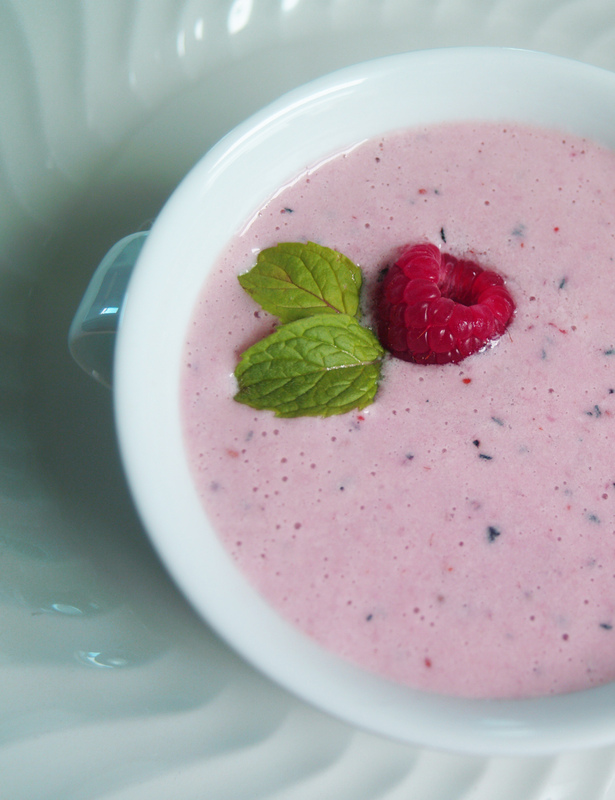 Ever since my friends came over for a vegan feast, I’ve been craving the cold berry soup I made. Guess what everyone in New England? 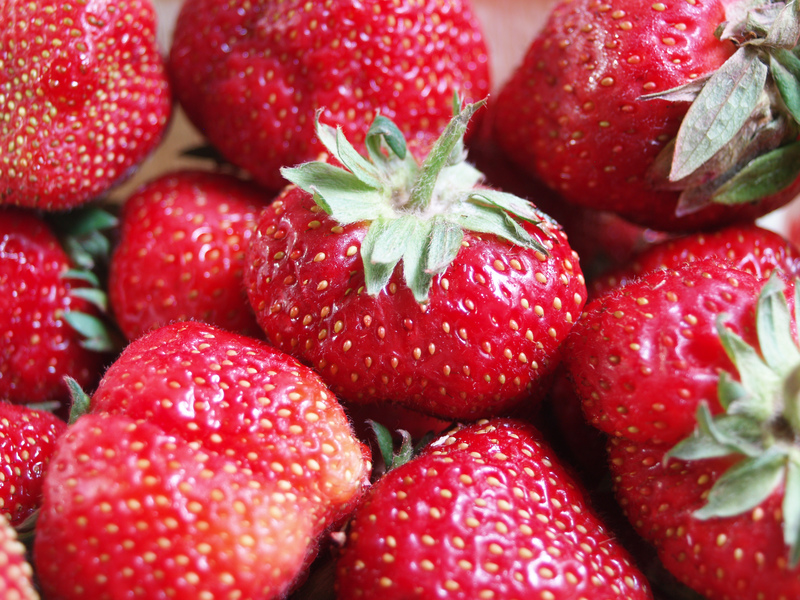 It is strawberry season! Instead of buying the bland, too-perfect strawberries from the store, you can get the really red, ripe, juicy beauties from somewhere local. There couldn’t be a better time to try this recipe out. *I used “Fresh Berry Soup” from Moosewood Cookbook as a sortof basis for this vegan version. Puree everything together in a blender. Chill in the refrigerator for an hour. Garnish with a sprig of mint on top. Special thanks to my friend, Sam. Out of nowhere, I got a package in the mail containing a copy of Moosewood Cookbook. Such kind acts are rare these days and I can’t express how much this gesture meant to me. In a very short period of time, this vegetarian cookbook containing recipes from Moosewood Restaurant in Ithaca, NY (very near where I grew up) has become my favorite. Every vegetarian cook should have a copy of this classic from 1977. I’m heading to the UK tomorrow. My colleagues sent a link to what looks like a posh vegan restaurant in Brighton. I will hopefully have some pictures to share soon. That sounds amazing! I’m loving the idea of using freshly squeezed orange juice, So Delicious coconut milk creamer and yogurt mixed with all those berries! Thanks so much for sharing. This recipe is definitely a keeper! I’m pretty sure that I had a meal from that Brighton restaurant that you’re talking about. One of my adult sons & I were there a few years ago and we ordered a boxed lunch from Terre a Terre. If this is the restaurant that you are referring to, you won’t be disappointed! OOH! I can’t wait! I’ll be sure to post about it.